This is the best way to taste what is in store for the upcoming 2018 vintage of our Single Vineyard Pinot Noirs by tasting them straight from the Barrel! 2018 had one of the longest hang times in the central coast over the last 20 years and the early signs of the vintage are exceptional. 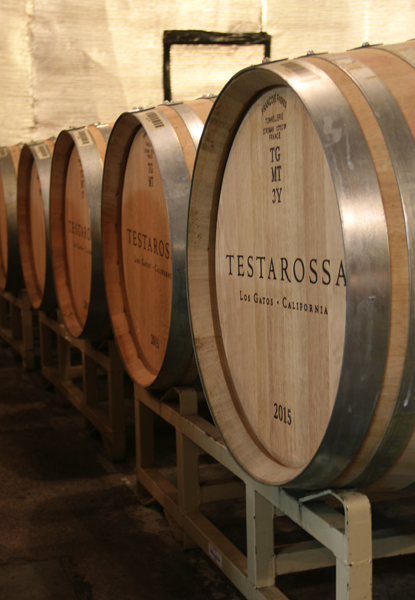 Join Rob Jensen, Bill Brosseau, and our production team in the historic cellars of the Novitiate Winery for one of our most popular Club Testarossa events of the year. 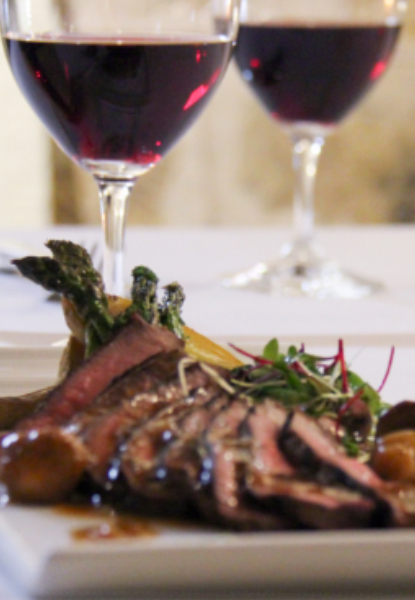 Wine Club Event. Advanced reservations required. Join us in celebrating our new 2017 vintage Pinot Noir and Chardonnay from Fogstone Vineyard! Fogstone Vineyard owner Bret Sisney will be our guest of honor and will be sharing why this is one of our most innovative vineyard partners. Wine Club member discounts apply. Advanced reservations required. *Please let us know if you have any dietary restrictions in advance. Our culinary team will do our best to accommodate. 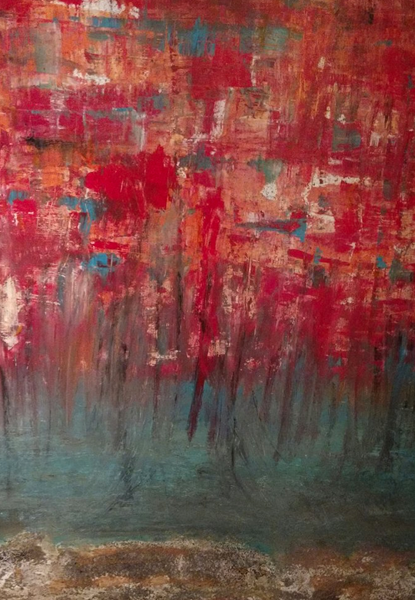 Inspired by movement, light, energy, texture, color, and nature, paint dances onto canvas in pure joy of being. Paint and mixed media on canvas. 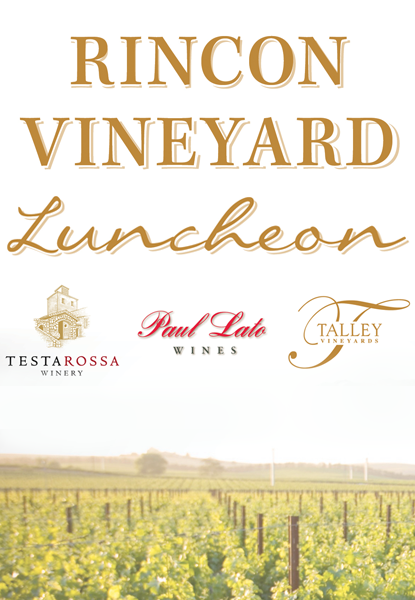 Join Rob and Diana, along with Talley Vineyards and Paul Lato Wines at the beautiful Rincon Vineyard in the Arroyo Grande Valley for a delicious four course luncheon organized by Talley Vineyards and prepared by Brian Collins, owner-chef at Ember. Tickets are limited to the first 65 guests. No minors are allowed at ticketed events. Due to our historic setting, most of the experiences typically require use of stairs to access certain areas of the winery. Please alert us of any guests with disabilities by calling our concierge at (408) 354-6150 x31 or concierge@testarossa.com so that we can make the necessary accommodations.